Richard Dawkins has sent the following letter to KPFA, which was originally posted here. I used to love your station when I lived in Berkeley for two years, shortly after that beloved place had become the iconic home of free speech. I listened to KPFA almost every day during those years, and I regularly contributed to your fundraising drives, grateful for your objective reporting and humane commentary while I participated in the People’s Park and Vietnam war demonstrations. It was therefore a matter of personal sorrow to me to receive this morning your truly astonishing “justification” for de-platforming me. We regret to inform you that KPFA has canceled our event with Richard Dawkins. We had booked this event based entirely on his excellent new book on science, when we didn’t know he had offended and hurt – in his tweets and other comments on Islam, so many people. KPFA does not endorse hurtful speech. While KPFA emphatically supports serious free speech, we do not support abusive speech. We apologize for not having had broader knowledge of Dawkins views much earlier. We also apologize to all those inconvenienced by this cancellation. Your ticket purchases will automatically be refunded by Brown Paper Tickets. My memory of KPFA is that you were unusually scrupulous about fact-checking. I especially admired your habit of always quoting sources. You conspicuously did not quote a source when accusing me of “abusive speech”. Why didn’t you check your facts – or at least have the common courtesy to alert me – before summarily cancelling my event? If you had consulted me, or if you had done even rudimentary fact-checking, you would have concluded that I have never used abusive speech against Islam. I have called IslamISM “vile” but surely you, of all people, understand that Islamism is not the same as Islam. I have criticised the ridiculous pseudoscientific claims made by Islamic apologists (“the sun sets in a marsh” etc), and the opposition of Islamic “ scholars” to evolution and other scientific truths. I have criticised the appalling misogyny and homophobia of Islam, I have criticised the murdering of apostates for no crime other than their disbelief. Far from attacking Muslims, I understand – as perhaps you do not – that Muslims themselves are the prime victims of the oppressive cruelties of Islamism, especially Muslim women. You say I use “abusive speech” about Islam. I would seriously – I mean it – like to hear what examples of my “abusive speech” you had in mind. When you fail to discover any, I presume you will issue a public apology, which I will of course accept in a spirit of gratitude for what KPFA once was. And could become again. The Center for Inquiry was stunned and deeply dismayed by the cancellation of an event with Prof. Richard Dawkins by the radio station KPFA in Berkeley, California. The station alleged without evidence that the world renowned evolutionary biologist had engaged in “abusive speech,” against Islam, a justification that CFI considers absurd. Prof. Dawkins is a renowned, responsible, and thoughtful critic of all religions, who KPFA had previously hosted in 2015, apparently undisturbed by Prof. Dawkins’ criticism of some of the tenets and ideas of Islam, Christianity, and other faiths.  Last year, the Richard Dawkins Foundation for Reason & Science merged with the Center for Inquiry, and Prof. Dawkins joined the CFI board of directors.